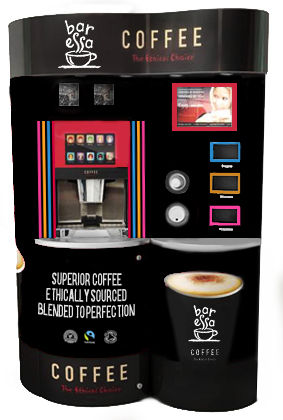 Alongside our range of Bar’essa coffee,we are able to provide our customers with a range of promotional material that accompanies the Bar’essa brand. This includes posters, window stickers, floor standing boards, and table talkers, all branded with the colourful Bar’essa design. These items will help to promote your organisation and give the complete coffee experience to your staff and customers. We can also supply a pack of loyalty cards, which work well in cafes or bars that have regular customers. If desired, Caffeica have a range of ceramic white coffee cups, in espresso or cappuccino size, that help to provide that extra special touch.